Underground Cable Rollers and Tools are used for support underground power cable in cable pulling and installation operation. 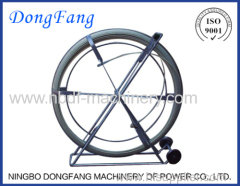 We have designed different kinds of cable rollers for different usage. 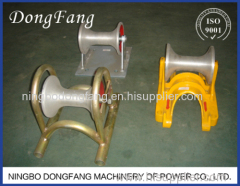 Cable Rollers are used for underground cable installation and pulling operation. The rollers are designed to prevent pulling friction and damage. 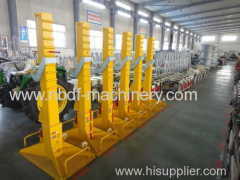 Cable cutters are used for underground cable installation and pulling operation. 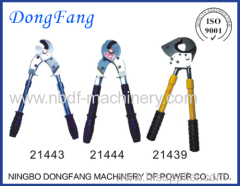 The cutters are mechanical ratchet type or hydraulic type. Fiber duct rodders are used for pulling electric cable or optical cable in power or telecom underground installation project. Made of fiberglass. 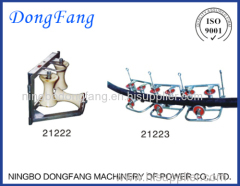 Group of Cable Installation Rollers Tools has been presented above, want more	Cable Installation Rollers Tools and Underground Cable Installation Rollers, Please Contact Us.